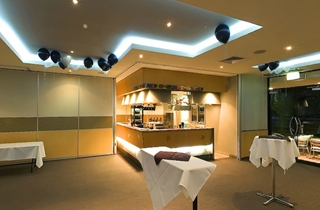 Broncos Leagues Club’s Function department offers modern facilities, expert event solutions and experienced staff who will assist in organising your ideal wedding reception. 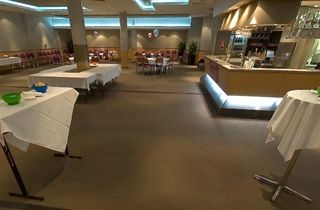 With the convenient location of Red Hill just 8 minutes from the CBD and ample parking, Broncos Leagues Club is the ideal functions centre. Broncos Leagues Club offers modern facilities, expert event solutions and experienced staff who will assist in organising your perfect wedding event. With the convenient location of Red Hill just 8 minutes from the CBD and ample parking, Broncos Leagues Club is the ideal wedding reception location. Our Auditorium is suited to larger wedding receptions with between 80 to 500 guests. It features a professional performance stage, dressing room, bio box, 3 large projector screens, dance-floor, and bar. Broncos Leagues Club offers modern facilities, expert event solutions and experienced staff who will assist in organising your perfect wedding event. With the convenient location of Red Hill just 8 minutes from the CBD and ample parking, Broncos Leagues Club is the ideal wedding reception location. The Captains Room can cater for 50 to 100 people, or 200 if joined with Darcey Mitchell Room. Featuring full bar, projector screen, and access to the terrace overlooking Gilbert Park. Broncos Leagues Club offers modern facilities, expert event solutions and experienced staff who will assist in organising your perfect wedding event. With the convenient location of Red Hill just 8 minutes from the CBD and ample parking, Broncos Leagues Club is the ideal wedding reception location. 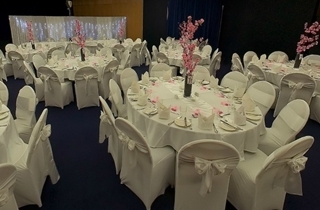 Our Darcy Mitchell and Captain Rooms can be combined to suit to larger wedding receptions up to 200 guests. Featuring quality audio visual equipment, full bar, projector screen, and access to the terrace overlooking Gilbert Park.